New Alpha Series Compressed Air Duplex filters incorporate redesigned housing features with market leading element technology to deliver class leading performance in a flexible and intelligent dual-stage Compressed Air filter. Designed with flow-optimisation in mind, the New Alpha Compressed Air Duplex filters combine an XA 0.01 micron and AC Activated Carbon element allowing the filter housing to be installed in the same line space as a single stage filtration unit with twice the filtration capability. Ideal for use in point of use Breathing Air applications, as well as a pre-filter for critical need applications such as food, pharmaceutical, instrumentation and breathing air environments. The XA grade element delivers significant energy savings with minimal differential pressure and exceptional oil aerosol removal and particle retention. The AC element uses a finely divided Activated Carbon media to remove odours and tastes. 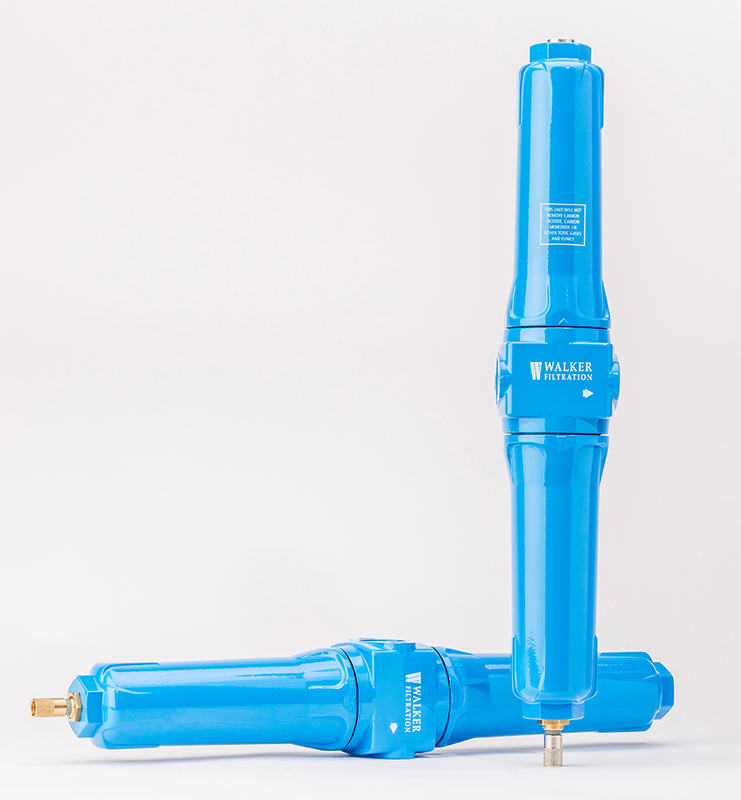 New Alpha Duplex filters are offered in a range of 7 models with connection sizes from 1/4” to 1” Rp (BSP Parallel), Rc (BSP Taper) and NPT, with a maximum operating temperature of 50˚C (122˚F) and flow capacities up to 175 SCFM (297 Nm³/hr).